It was a BABY EAR kinda day on Cayo Costa. BABY EARS, ANGEL WINGS and dried SEA URCHINS were some of the other goodies we found on our iLoveShelling cruise on Captiva Cruises awesome boat cruise. It was a shellucky day! Espeshelly since we didn’t even think we could go due to the light rain. But after looking at radar and realizing no lightning, we took off anyway. Shellers are tough! 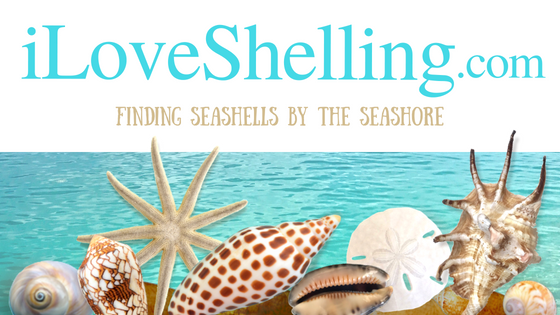 Yep, We love shelling that much. Its worth going when u find a bag of beautiful dried SEA URCHINS. And get to hang out with such nice folks. Tom even found a perfectly dried BRITTLE STAR high in the wrack line. Look how big Jennifer’s LIGHTNING WHELK is. Such a pretty color and pattern too. We had plenty of different wrack lines to hunt for shells. The water was perfectly clear with aqua stripes peeking out in the sunshine. Warren, Peg and Dave joined us again and of course Dave found an ALPHABET CONE. Look at the awesome group of Shellers! I was so tickled to see so many of the sweet mini SEA URCHINS after I just wrote my post on how to clean them. It’s SHELLENDIPITY! Looks like a fun day even though the weather was iffy. Love all the urchins. Your recent post about them was fabulous. Great info. Even though there were a few raindrops, I had a great time shelling. I think everyone on the cruise did also. Pam is such a “burst of energy” and a wealth of knowledge of sea life. Can’t wait to go with her again, but it may be in 2016. Will be shelling on Sanibel all week. Looks like another great trip! That’s a very pretty shot Pam, with all the hands and all the baby’s ears! Well done! Hi Pam, I love your blog! My family and I are down here and while we could not make your Cayo costa trip, we did visit sealift congress and got our sand dollar necklaces! Love them! They are so nice there. The necklaces must have been good mojo because the next day we found cone shells, fighting conchs, beautiful olives, two lightning welks and big cockles on Bowmans! We fought the waves for them but it was fun! We are here until Saturday and hope to find more! Thx for your great blog! Mrs. Joe Star here with a question. (which may be stupid, but…) Why is there usually some prominent sea shell or beach bling that washes up in bunches? Like those baby ears, many of the people found them on your trip. Like the sea urchins from the other day? Or when dosina’s all wash up? Even though they can be spread over many beaches it usually seems few things are prominent! How fun. And I love that pretty Lightning Whelk the one gal found! And a Brittle Star? I’d never heard of one before or at least I don’t remember it–how interesting!! What a great trip! So many baby’s ears and urchins! I don’t usually collect sea urchins because I didn’t know how to clean them! Now I know. Oooooh! Babies Ears are my favs. But I have only found 3 in over 35 yearly trips. Evidently I have been coming the wrong time of year! Drooling as usual! I went on this trip with my friend [guest at her place and back home in chilly Ottawa now] and was just delighted from start to finish. Pam is such an energetic, knowledgeable guide and her enthusiasm really gets you hopped up. The skies were dark and it did rain but the dramatic weather made for some amazing pictures. I’ve never seen water that turquoise. Didn’t find a baby’s ear but have some lovely jingles and olives. I would recommend this trip to anybody! I fly home with shells all the time. I know I’ve seen some posts a while back on how Pam transports her goodies. Most recently I cut the top off plastic water bottles and stacked Urchins, with small wads of toilet paper in between each. Then put the cut-off top on and taped it closed. Had lots of empty water bottles which was really great ’cause I had a lot of Sea Urchins to bring home. Only collected the really dead ones that already lost spines. Existing spines would add some additional cushioning, I guess, but I wanted some of the work already done for me. Also like to use styrofoam cups and empty take-out tubs. I roll dirty laundry and surround shell cups. My Rubber Boots only held two bottles of shells so my most precious or fragile get primo spots. Old prescription bottles for small stuff. A Pringles cannister has been on many of my shelling trips. This last trip was so successful that I really needed to send a big box home. The guy at Pack and Ship was fantastic. He must be in business just for us shellers. I sent a bucket of Urchins home…in the bucket, with very few losses. Other shells I just brought and he wrapped and packed and shipped. With no breakage! What a find. He was a find! Anyway, just went through the process so I thought I would send out a quick answer. Hope it helps. Pat, It sounds like you are having a good trip and finding lots of great stuff. I can’t answer as to why this happens with shells, but I notice it too. Even when I walk along the beach, I find sections with a lot of 1 type of shell. Then as I walk farther, that shell goes away and there are alot of a different type of shell. I always thought it was interesting that they washed up this way. It just goes to show that every beach is different. Omigosh, Pat, it was WONDERFUL to see you and Arthur! It was such a fun day! Sorry it took so long to respond. I went off line for a few days. Thanks so much for everything- and great finds. So happy to here u r finding fun things n the beach. Was a fun first visit to Sanibel!!! So happy about all of the shells and loads of sea urchins that we found. Cleaning them now!!!! Thanks Pam!